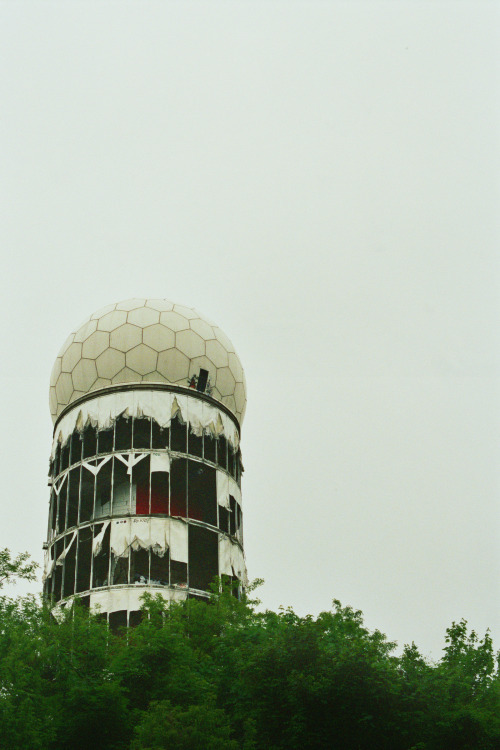 The Radomes of Teufelsberg or Devil’s Mountain is on an artificial hill made of rubble from debris of Berlin following World War II. There are other man made rubble mounds through out Europe but this one is unique because underneath the rubble lies the unfinished Wehrtechnische Fakultät, a Nazi military technical college. Source.